Fort Grey is one of many coastal defences constructed for protection from France. 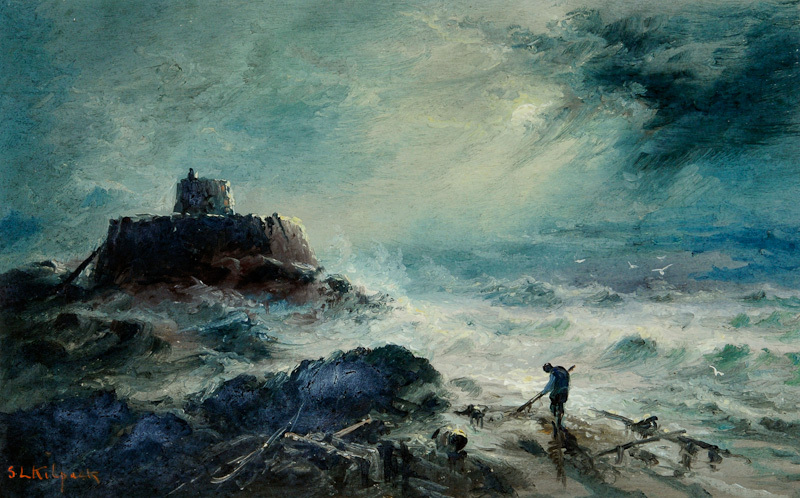 The Fort is located on a small tidal islet in Rocquaine Bay on the west coast of Guernsey, connected to the shore by a raised causeway. It stands on the site of an earlier small castle, the Château de Rocquaine and is now known affectionately as the "Cup and Saucer". 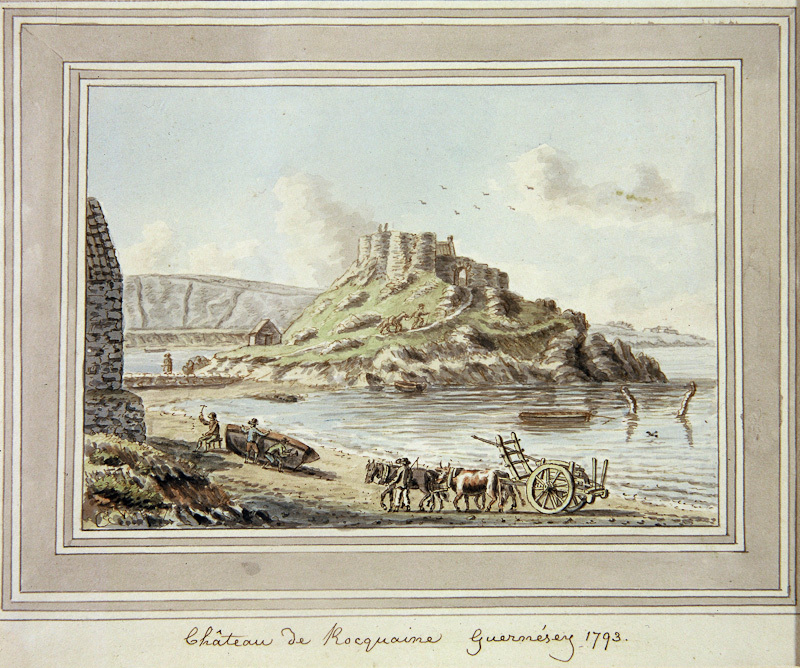 It was built in 1804, as part of a chain of defences built to protect Guernsey against the French. 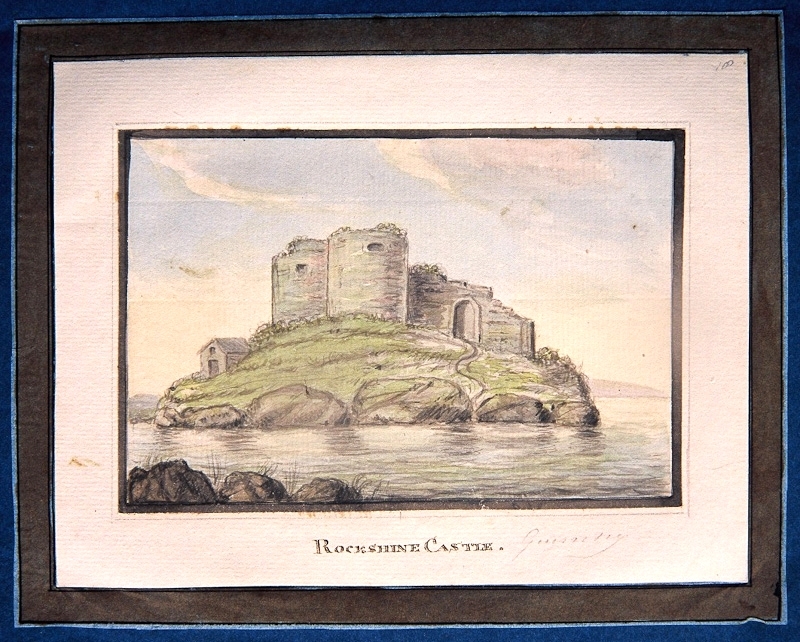 A series of coastal towers erected in the 1780s had been criticised as being too small to provide effective firepower. 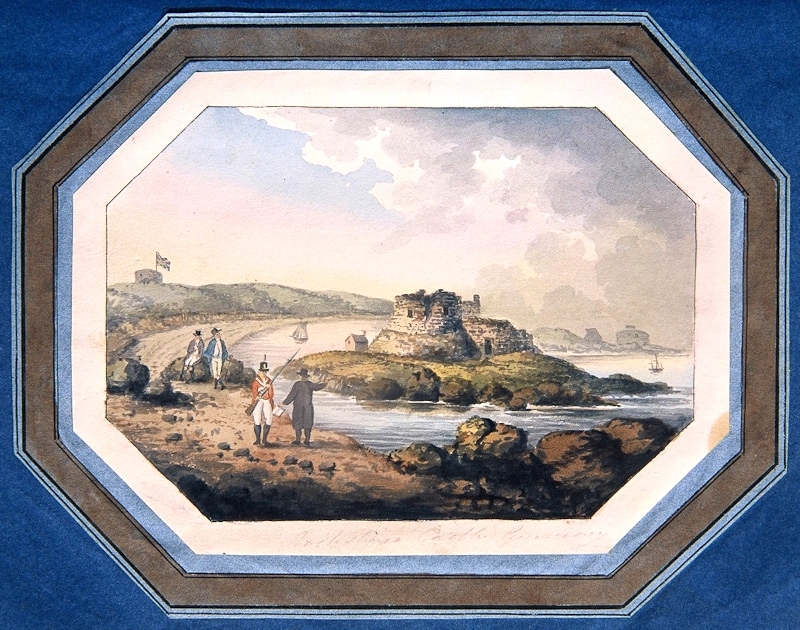 Sir John Doyle, Lieutenant-Governor of Guernsey during the Napoleonic Wars, ordered the construction of three larger, improved towers being Fort Grey, Fort Saumarez and Fort Hommet. Doyle also built new military roads, one of which runs from St Peter Port to L'Erée at the northern end of Rocquaine Bay. Fort Grey was manned during both World Wars, serving as a German anti-aircraft battery during their occupation of the island. In the post-war years, the building fell into disuse before its restoration and re-opening as a shipwreck museum in 1976. The tower has been painted white for many years as a mariner's seamark. It was named after General Charles, Earl Grey of Howick, K.B., the Governor of Guernsey from 1797 to 1807. 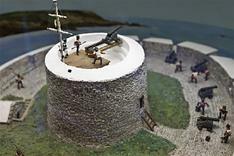 The granite tower has the characteristic sloping "Martello" profile and served to carry a 24 pound "carronade" on a traversing mount. Its internal vaulting is of brick and the roof can be reached by an internal ladder. Access to the lower floor was by trapdoor through the wooden floor of the upper room. A second entrance was added by the Germans. This is a low, shuttered opening at ground level which now forms a seat for visitors. Around the tower is a platform which once carried six 24 pounder cannon. Originally, the only entrance to the fort was by ladder over the outer wall. Today's visitor approaches up a flight of steps and through a new archway. Within the fort stands a stone-built magazine, sunk below ground to the level of its eaves and used to store gunpowder and shot. Storing explosives within the fort however was soon seen as a bad idea, so a second magazine was constructed outside the walls.